As we confront a hostile Russia today, the West is unsure what to do. For guidance, perhaps we should look back to the Soviet era, when we possessed a decidedly stronger sense of allied purpose. She was searching for change. In London in April 1975, as leader of Britain’s opposition, Thatcher had her first one-on-one meeting with a former governor of California named Ronald Reagan. He, too, was out of office, seeking the 1976 Republican presidential nomination. The pair agreed that the West was giving away too much to the Soviets, while Moscow was winning the arms race. This was an unpopular view, so the Reagan-Thatcher friendship was forged in adversity. It would prove the stronger for it. Thatcher gained power in 1979, Reagan in January, 1981. Together, against big protest movements, they installed a new class of nuclear weapons in Europe to counter the burgeoning Soviet arsenal. Having achieved this position of strength, Thatcher thought it should be bargained from. In September 1983, she said publicly in Washington, “We stand ready…if and when the circumstances are right—to talk to the Soviet leadership.” Reagan told her, privately, that he agreed. 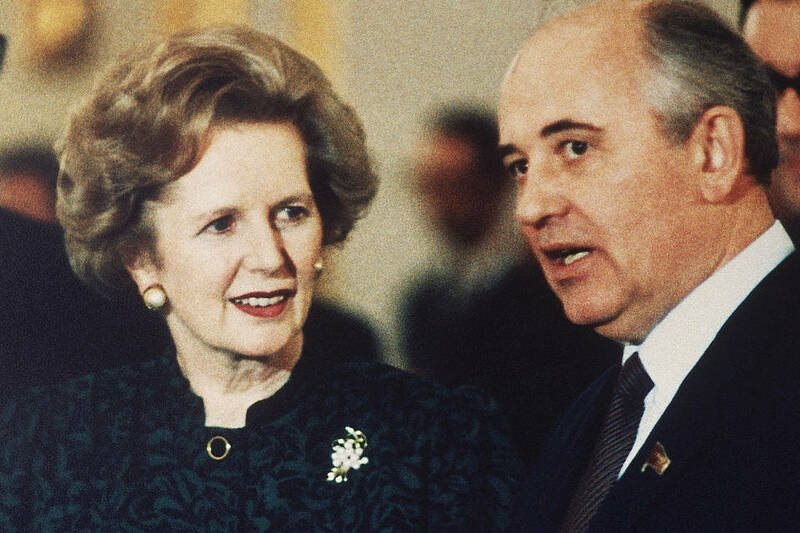 In 1984, Thatcher found the man she was looking for: Mikhail Gorbachev, age 53. She wagered that he would be the next Soviet leader and had him and his wife, Raisa, to Chequers, her country residence, just before Christmas. The GOP has a diverse field of Presidential candidates, Republican debates are finding huge audiences and Obama’s policies are still very unpopular. So why is it that almost every poll predicts that Hillary Clinton will win the Presidency if elections were held today? The answer: inside fighting. The solution: building anew Reagan coalition. No Republican candidate can win the Presidency if he/she isn’t able to form a coalition of moderates (the so-called establishment voters), conservatives, tea party members, evangelicals and libertarians. Every candidate is of course allowed to focus on one or more ‘lanes’, but in the end whoever wins the nomination must form a big coalition. Republicans’ landslide victories in the U.S. Senate and House were a first sign of this new Reagan coalition.